If you're still looking for a quick and easy costume to throw together this Halloween, we've got you covered. With the inherent trendiness of minions and the fact that they basically just wear overalls, you can quickly put together a cute minion Halloween costume with very little effort. And, in case you're wondering, this costume is still relevant since the Minions movie came out this summer. Another reason a minion costume is a good idea is because you know that it will be comfortable for any Halloween event, whether it's a long night of bar hopping or trick or treating with kids (you're never too old!). Plus, it'll be extremely recognizable so you won't have to explain yourself to anyone. Not to mention, it's kind of fun to have a do-it-yourself Halloween costume. Gives you something to do to get excited for the holiday! You can easily throw together a minion Halloween costume for under $50, but if you're being really frugal, you could probably find most of the items in your closet already or hit up your local Salvation army and get creative. All you need to get a perfect minion costume is a yellow t-shirt, a yellow beanie, a pair of overalls and some glasses. Voila! 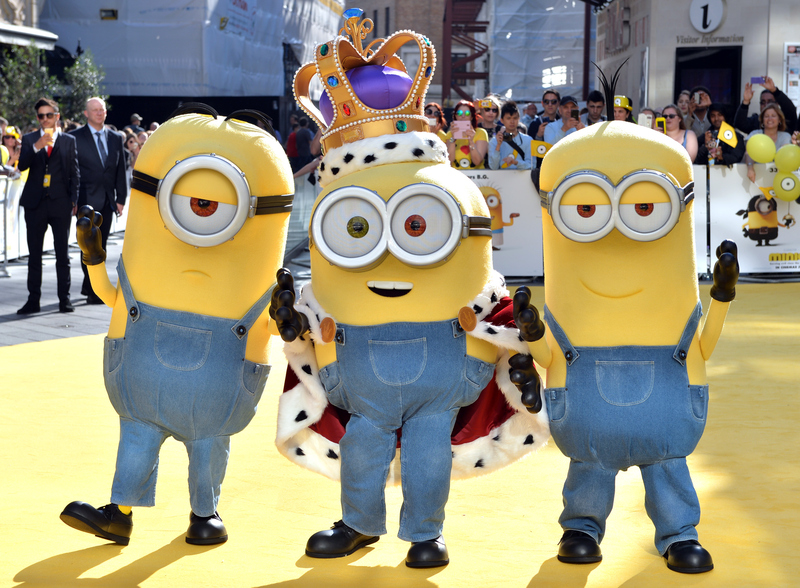 Here's your complete Minion Halloween costume kit.